Discussion in 'Utilities' started by MainMemory, May 31, 2017. I ran into some computer trouble which unfortunately delayed this release by a couple days, but here's a preview release of my Sonic 3 Special Stage editor, S3SSEdit! nikitpad, Ozaleto, EMK-20218 and 6 others like this. Release 2 is now available in SonLVL's updater. 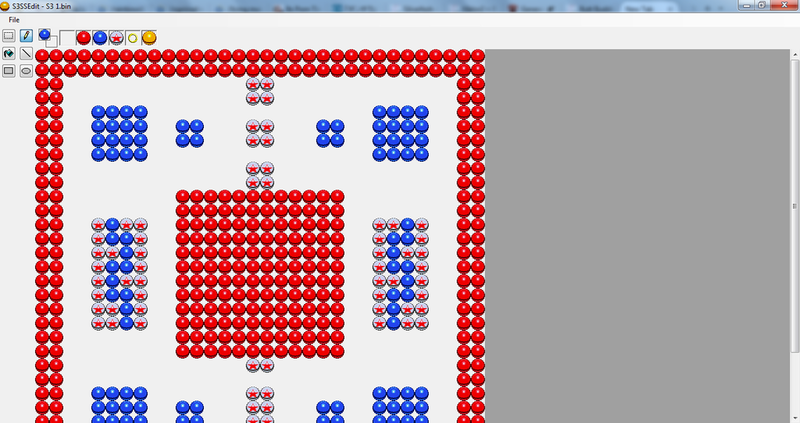 Added indicators for yellow sphere landing areas. Edit: Oh right, you can get a project file for the S&K disassembly here. Put it in the root folder of the disassembly. 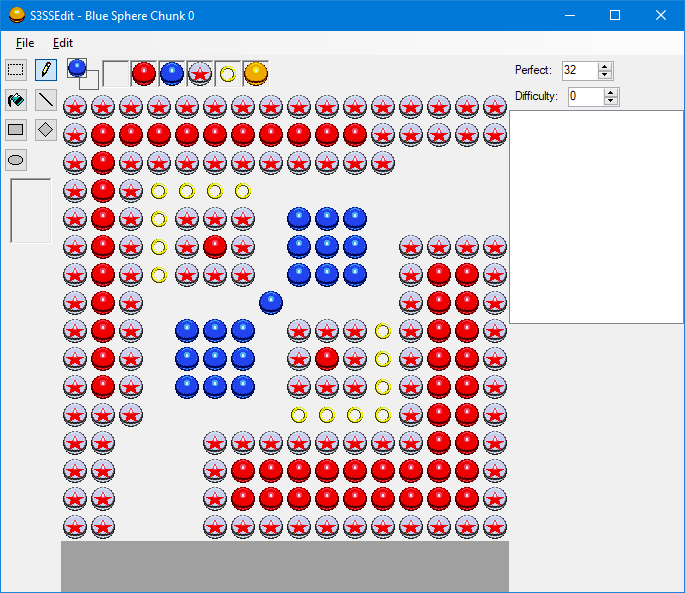 Release 3 adds full support for Blue Sphere, including individual chunk and full stage editing. I also fixed a mixup between east/west starting angles, and a crash when the empty space is the selected foreground item. 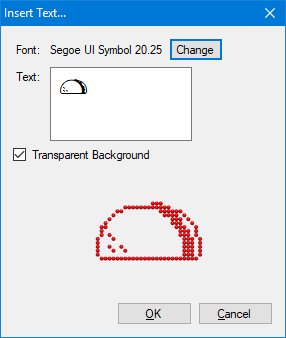 Update, now includes a text insertion feature (on the context menu), adds support for codes for Blue Sphere stage layouts, fixes bug where Blue Sphere stage layouts wouldn't save, fixes issue with start position tool not drawing correctly, and S3SSEdit now remembers your settings and the files you've recently edited. Additionally, I've upgraded the program from .NET 3.5 to .NET 4.6.2. TheInvisibleSun and CaveQuest like this.